My very dear friend Kristi and her girls are visiting this week from Indiana. 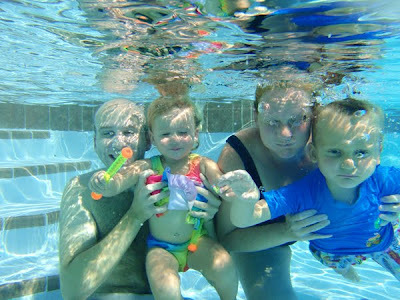 Kristi took our July family picture today while we were all at the pool. Not our best, but still very cute. You can see our previous monthly pictures here… January, February, March, April, May & June.